Players reporting errors in finding servers to join during matchmaking. 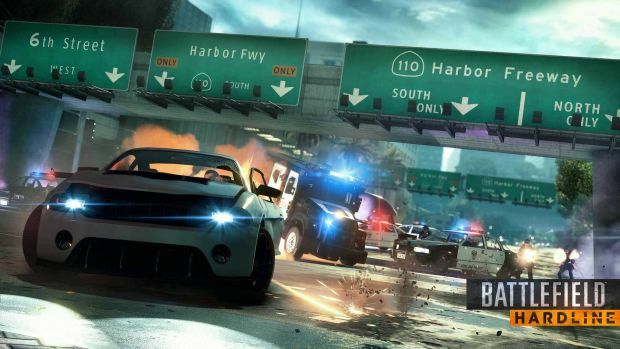 Visceral Games’ Battlefield: Hardline is currently in the open beta stage and though it’s available across all platforms, it’s pretty popular on the PlayStation 4. In fact, some users have reported not being able to find any servers to join for matches. EA has provided more information on the same via support. “If you try to join a match in the Battlefield Hardline beta and receive the error, ‘Matchmaking Failed — Could not find a server to join,’ this is likely due to our beta servers reaching their maximum capacity. “We’ve limited the number of participating players per platform during the Battlefield Hardline beta to balance our need for stress-testing while still trying to give an exciting and engaging in-game experience to as many players possible. Battlefield: Hardline is out in March for Xbox One, Xbox 360, PS3, PS4 and PC.